To provide upscale, design-savvy, high-quality products and services that enable our dealers to differentiate themselves from the competition and provide their clients with more real value at a fair price. All our products are proudly made here in the United States. 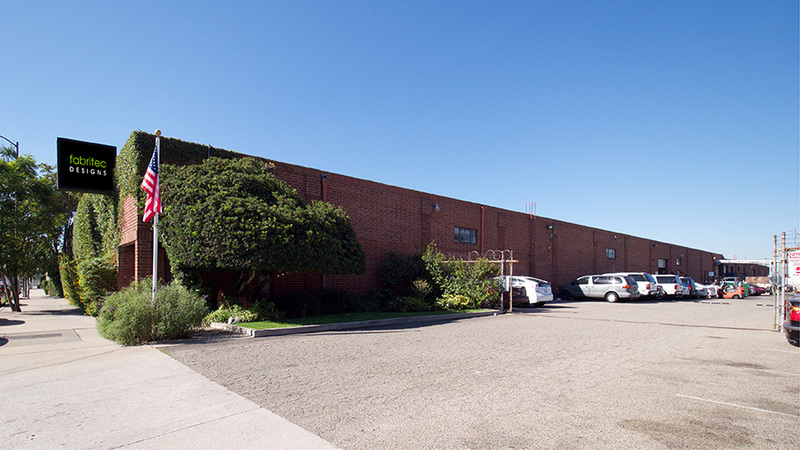 Our facilities are located in North Hollywood, California. 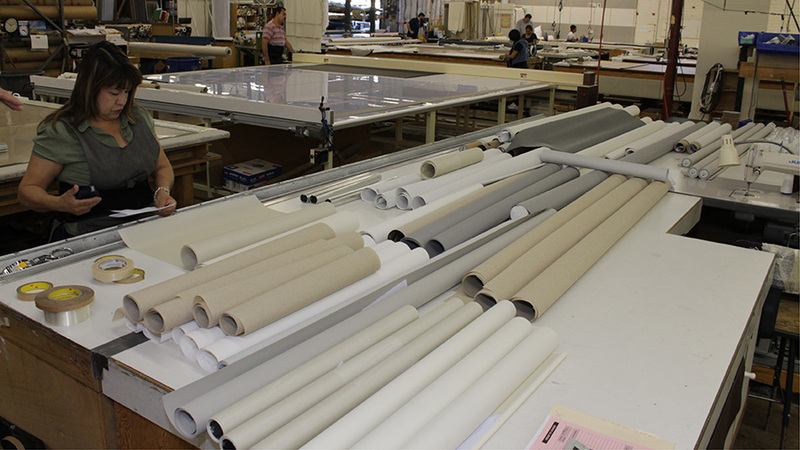 With thousands of feet of production space, we are able to handle virtually any window covering challenge—from the very large shades that no one else can make to just about anything the creative minds of our customers can think of. 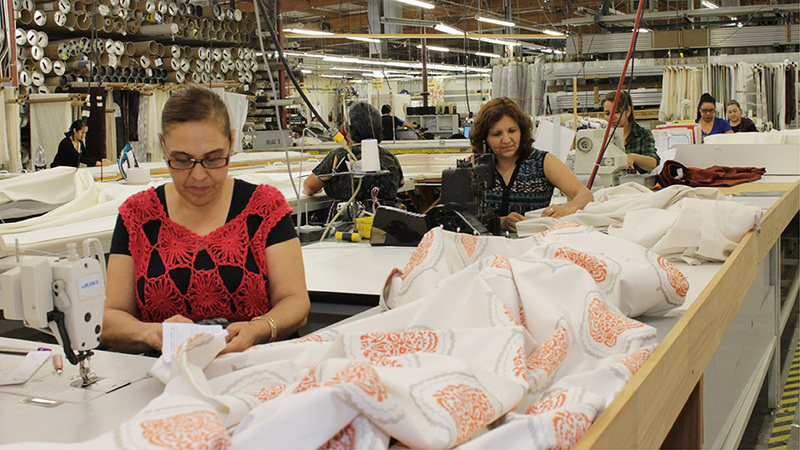 Fabritec Designs specializes in upscale, custom-made fabric window treatments… including Roman shades, Draperies, Valances, Cornices, and virtually all fabric-based accessories. We have special expertise in working with C.O.M. fabrics… giving you the choice of millions of fabrics; a huge advantage in providing your clients distinctive design and real value while differentiating yourself from the competition. Add the fact that our workroom personnel have over 40 years’ experience to draw from in fabricating exactly what you want. 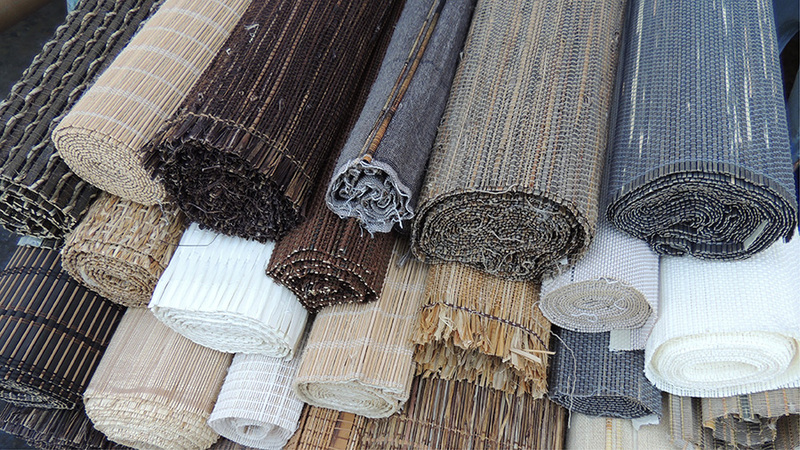 NATURAL WOVEN SHADES & PANELS. 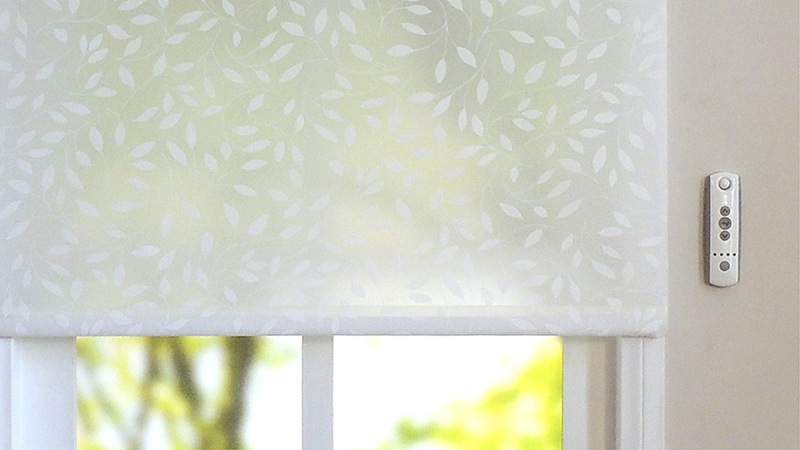 Our Natural Woven Shades & Panels are unique in more ways than one. 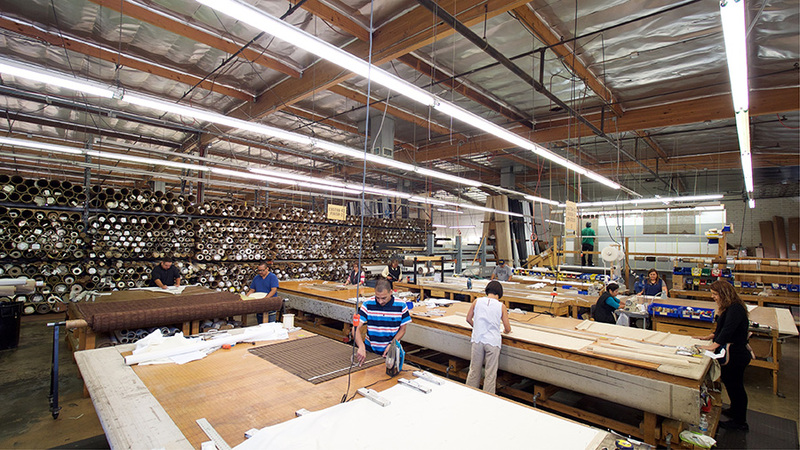 Not only do we have many exclusive patterns to choose from (sourced from around the world), but we use our many years of soft window covering fabrication know-how to make a product unlike any other you can find. 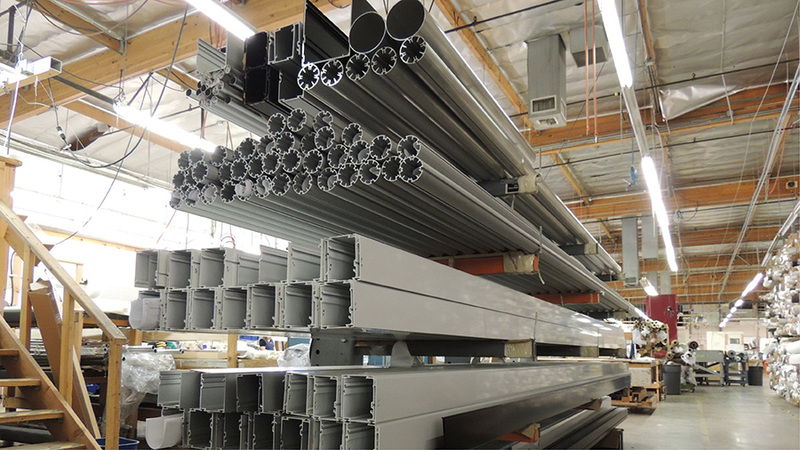 Our methods produce a quality level that simply cannot be duplicated by hard window covering companies. We invest considerably more in labor and material in producing and finishing our Natural Woven Shades—and the attention shows. High-end sewing techniques are utilized and a variety of hand-crafted design details make for a truly exceptional shade you can be proud of. When the sun is a problem, Solar Solutions has the answer. We can provide you with a solar shading solution to every conceivable kind of situation in which the sun is damaging carpet, furniture and woodwork, or creating glare, heat and discomfort. 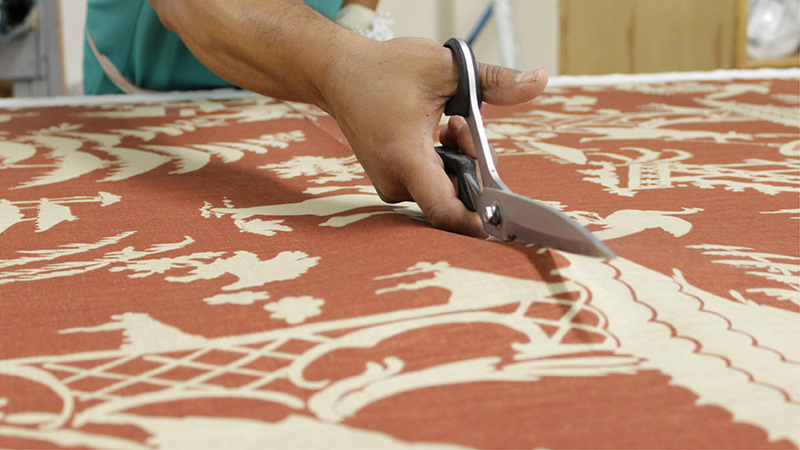 All shades are cut and sealed with state-of-the-art equipment. 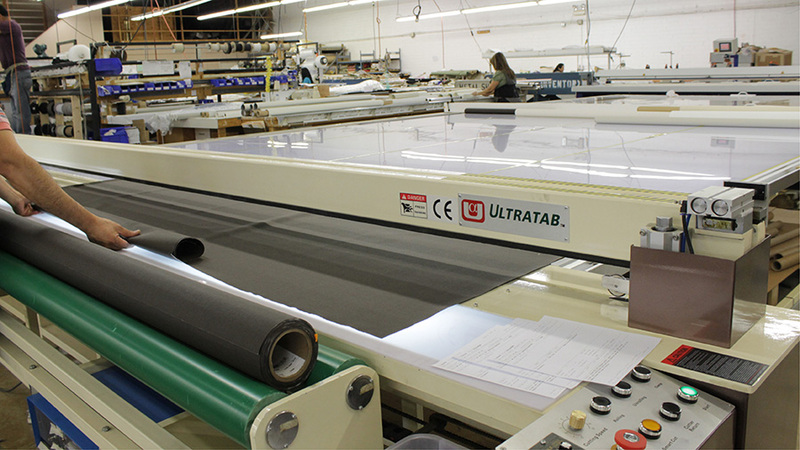 Each solar fabric is carefully evaluated and depending on the manufacturer’s recommendations, we can ultra-sonic cut, crush cut, or knife cut the fabric. This ensures that the edges of your shades will not ravel or fray! 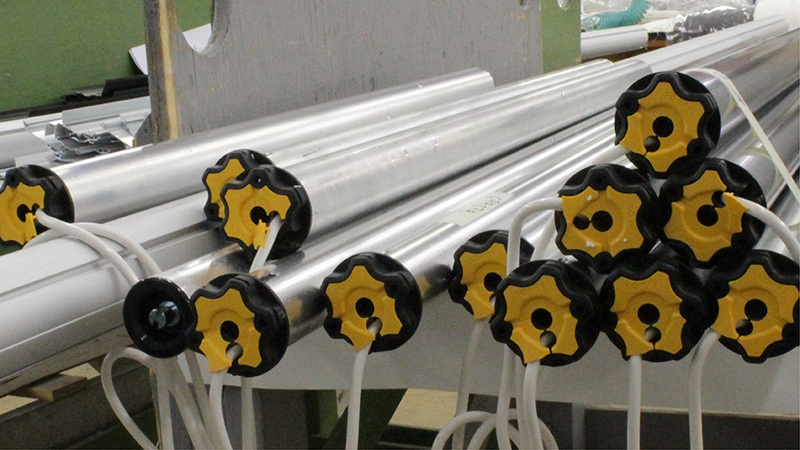 No one in the industry stocks as many tube sizes. Big shades require big tubes! And big tubes require large headboxes! In fact, we offer eleven different options to cover any size shade from our small 2” x 3” cassettes to our very large 7” x 9” headboxes. Motorization is what is happening these days… and we can help you do it regardless of the complexity of the project. Simple battery motors, wired motors, remotely controlled motors, network motors controlled by your smart phone or your home automation system… it doesn’t matter. We do it all! Complex programming and design is our specialty. Of course, we can do the easy stuff too! 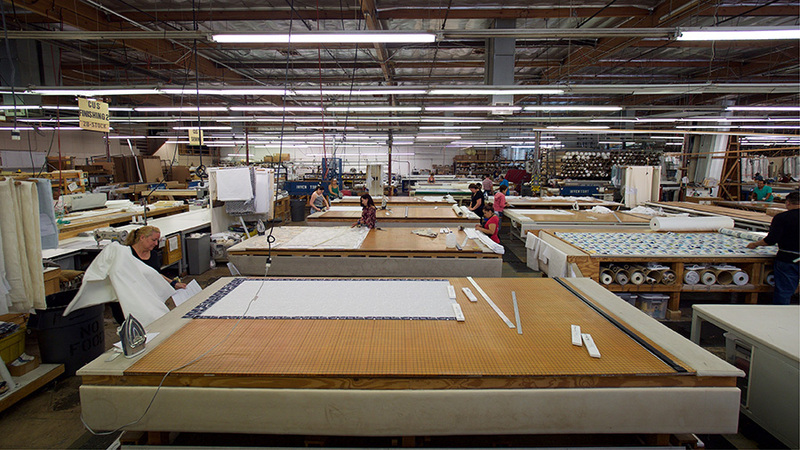 Fabritec is one of the largest sellers of motorized window coverings in the United States. We have the experience and know-how to make it work for all your projects. In-house experts and motorization specialists are always available to advise on motor specifications and design.